From seasonal accessories to costumes and couture, these 15 dogs of Instagram will put your wardrobe to shame. Momo "the hiding Border Collie" tucks himself into owner Andrew Knapp's closet on Aug. 15, 2013. He may not wear the flashiest fashion, but he certainly knows how to sport the classic red bandana. See Momo as he hides around the world on Instagram. 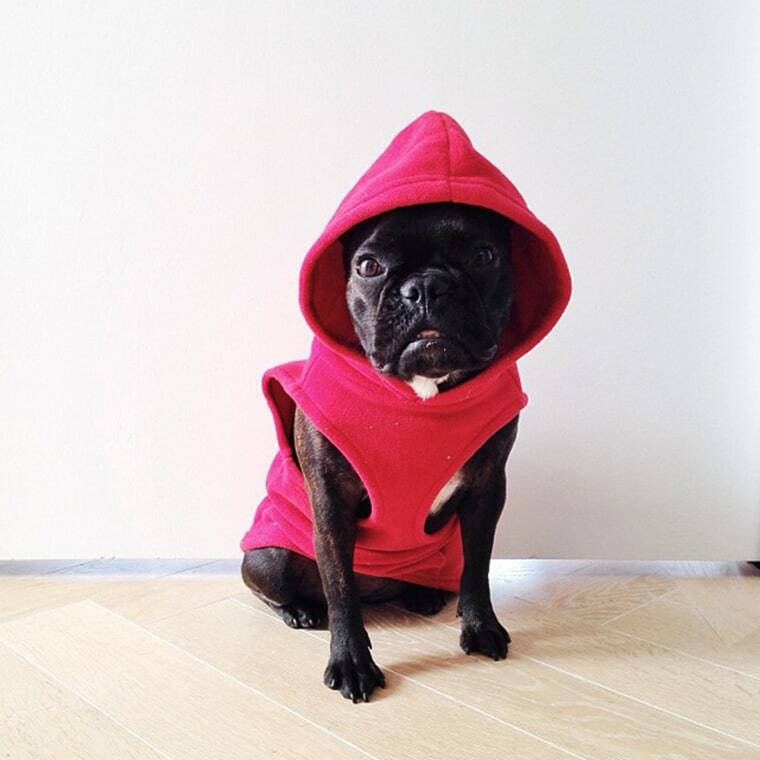 Beta the French Bulldog knows how to stay warm during winters across the pond. "It's been getting colder. Found this old sweater in a bag from LA," owner Leila wrote on Oct. 30, 2013. Fall in love with Beta on Instagram and Tumblr. 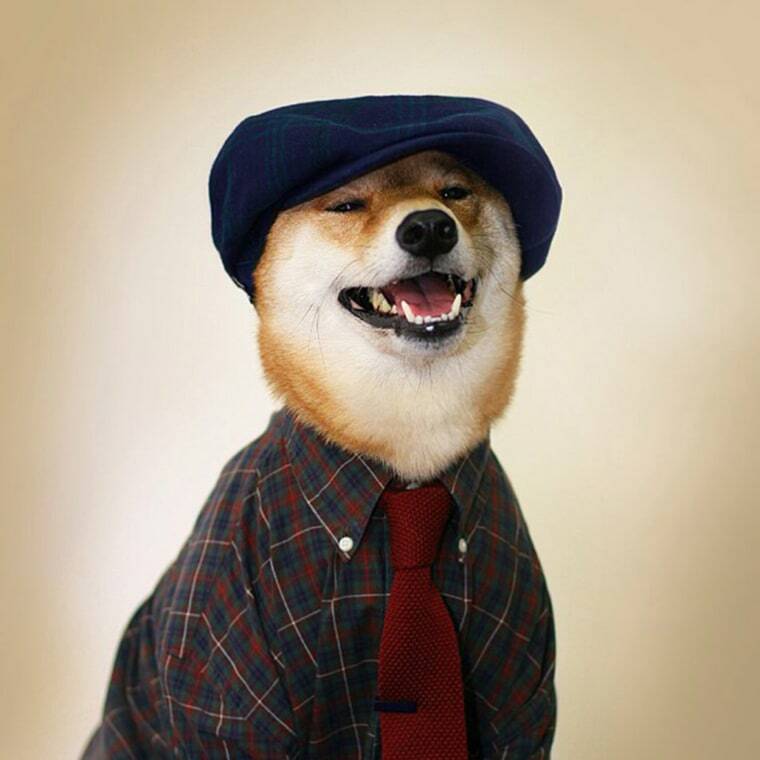 "Menswear Dog is a 4 year old Shiba Inu living in NYC with a penchant for all things style," reads this stylish dog's bio. "His interests include never washing his selvage denim, lurking around Soho for someone to notice his steez," and apparently being the swankiest dresser in New York. He's photographed on Aug. 20, 2013 wearing Stetson USA and the Tie Bar. He even has his own style blog! 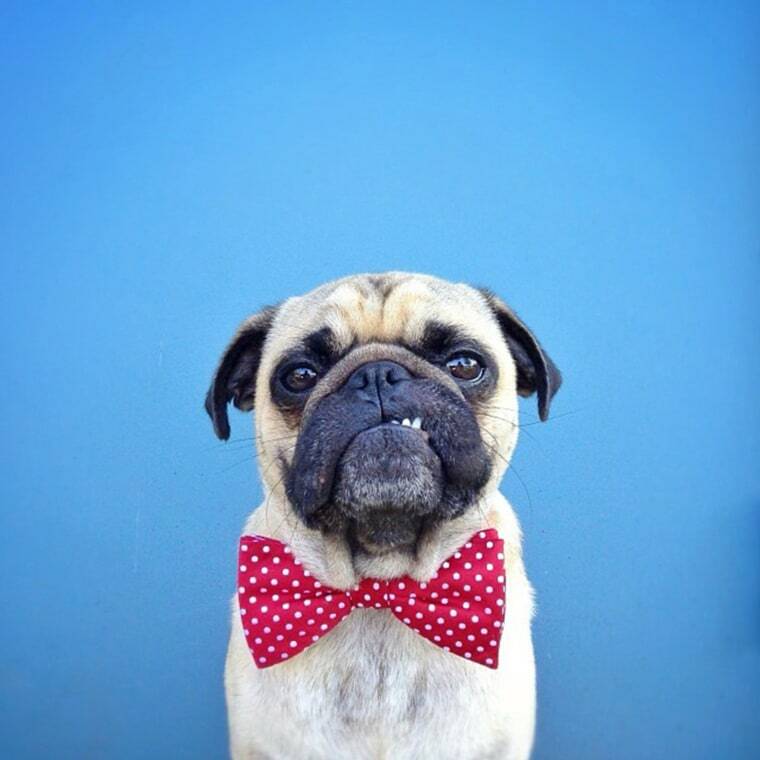 This hipster pug loves to hop into his owner's photographs. 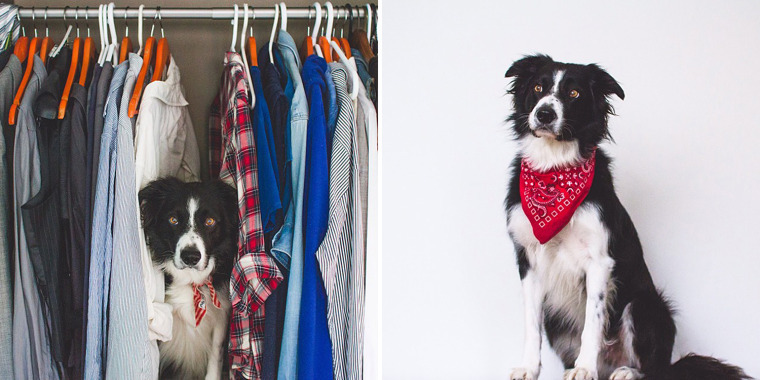 "I take him with me when I do a photo shoot for someone and if he sees the camera he will stand in front of where I am shooting," his owner Jeremy Veach says. Norm is known to rock the red: Check out his Instagram for an amazing red beanie! He flashes his style in this red bow tie on Oct. 5, 2013. 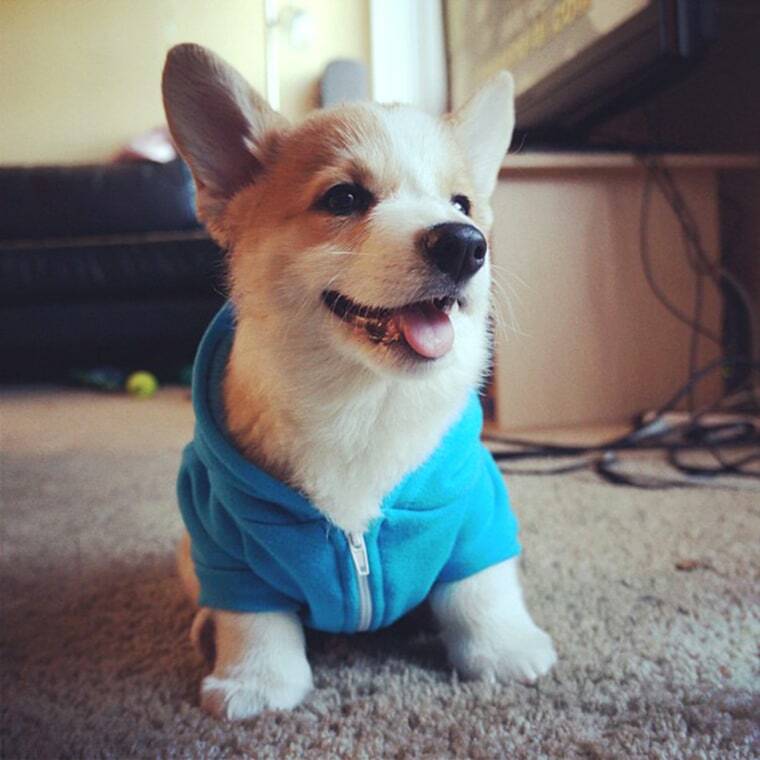 Stumphrey the Pembroke Welsh Corgi relaxes in his blue hoodie at home on June 1, 2013. Stump gets his style tips from his favorite mentor: his big brother. Check out the boys on Instagram or Facebook. 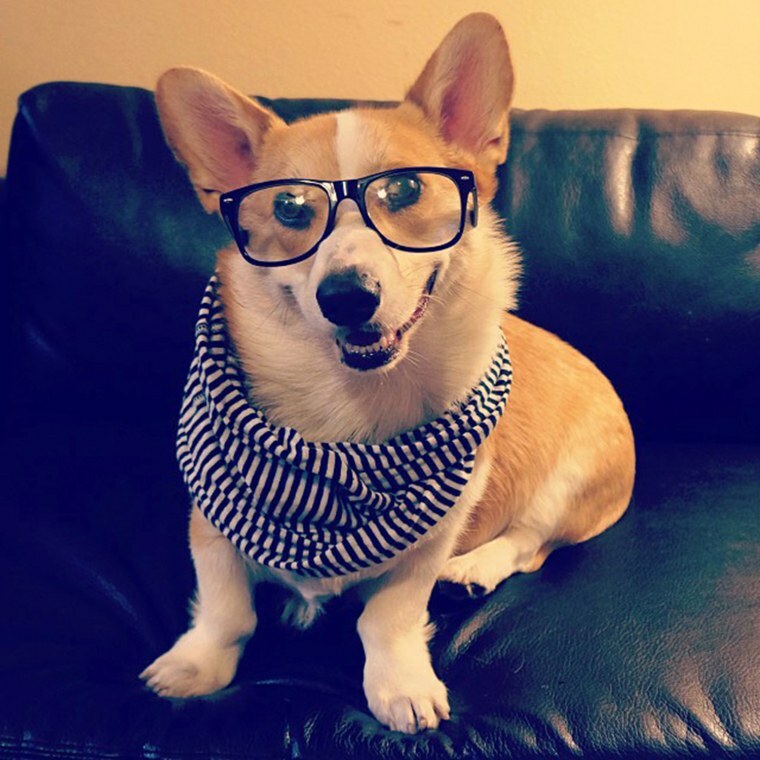 Big brother Corgnelius paves the fashion path for Stumphrey. He shows his Los Angeles inner hipster in this Oct. 4, 2013 photo. "Gonna take it easy tonite," the caption reads, "prob just stay in and listen to some Alt-J or Arcade Fire #hipsterlevel1000." 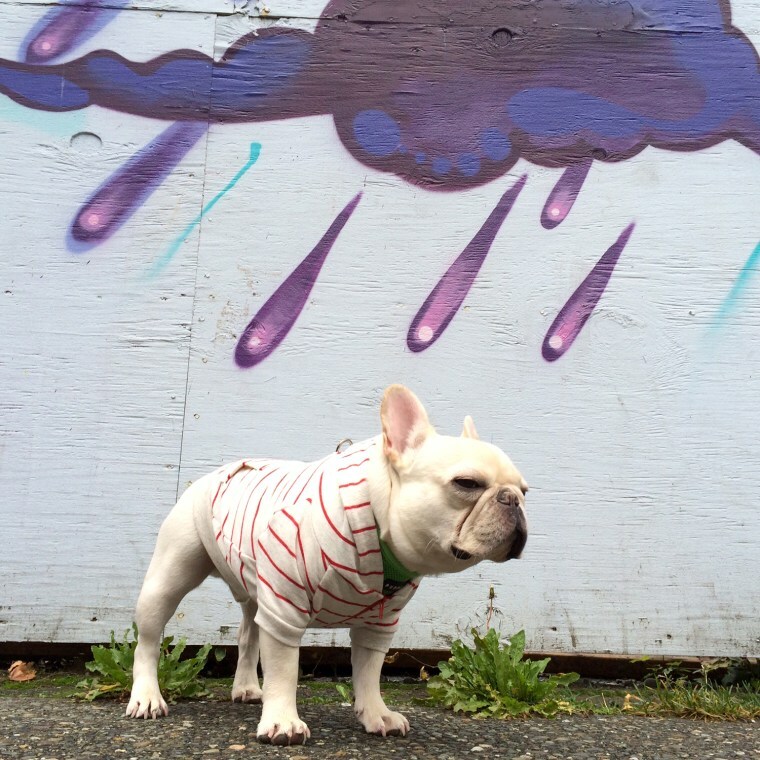 Barkley is a pup that refuses to let anything rain on his parade. "He never misses out [on] an opportunity to dress up for Halloween and also loves representing the Seattle Seahawks by wearing a variety of jerseys and beanies," his owners tell TODAY.com. "Although, every now and then can't turn down a suit and tie like Justin Timberlake." This photo from Oct. 21, 2013 perfectly shows off his "urban" street style. See more by clicking here! Dada's doting owner Cao loves to dress her up in head-to-toe flair. 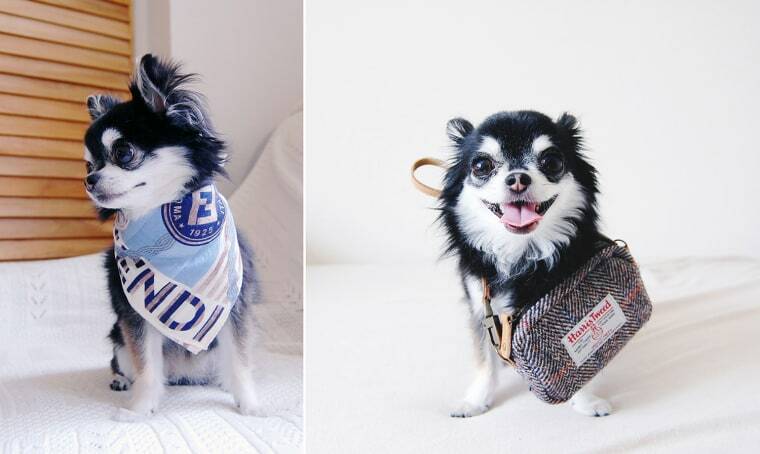 This tiny little pup loves big-name designers, and is always seen in adorable hats, scarves, and purses. "Let's go shopping, everybody!" she writes on July 15, 2012. See more of Dada here. Aloysius Van Winkle is one sophisticated pooch. "I told Alo to start the new year as he meant to continue so he decided to start it with class," his owner wrote on Dec. 31, 2013. This Griffon is not one to shy away from wigs or props. Look at some of his other outfits on the Instagram account he shares with his brother. 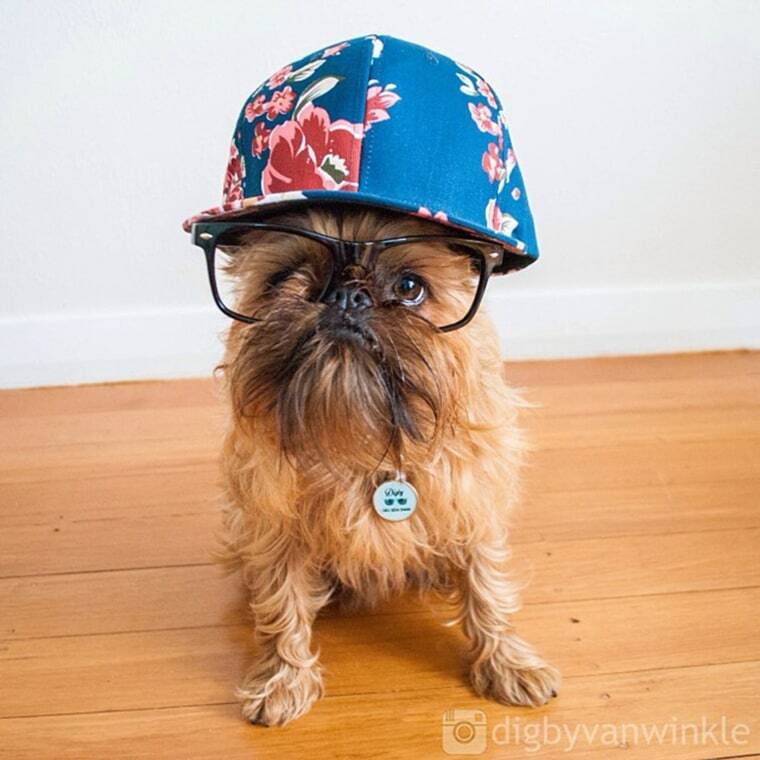 Aloysius's brother Digby Van Winkle gears up for the warm weather in New Zealand on Jan. 7, 2014. 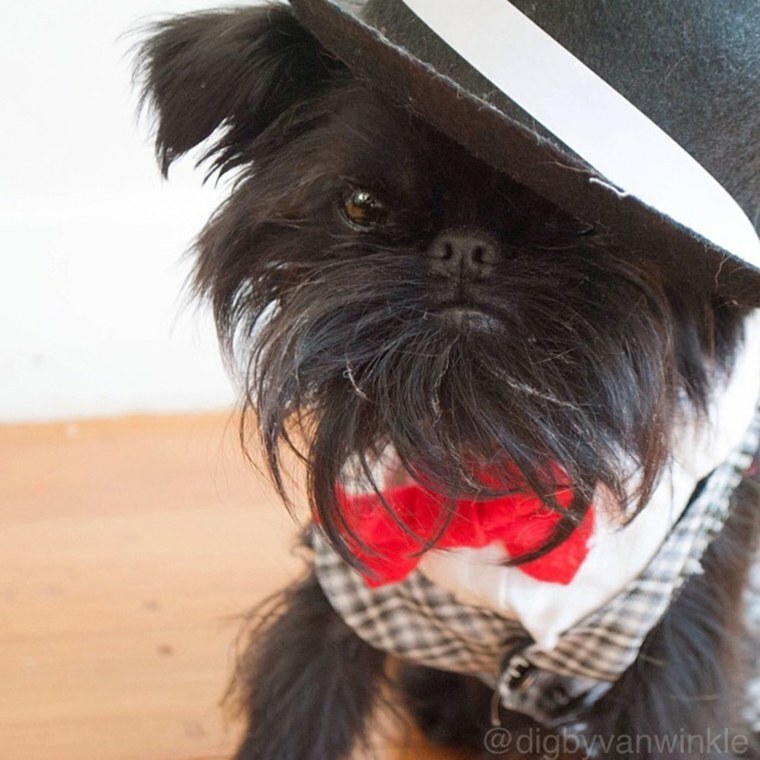 In the most recent post on Digby's Instagram, his owner writes, "Every day is 'dress up your pet day' in the Van Winkle house." We're big fans of this motto! Montjiro is quite possibly the leader of the pack! 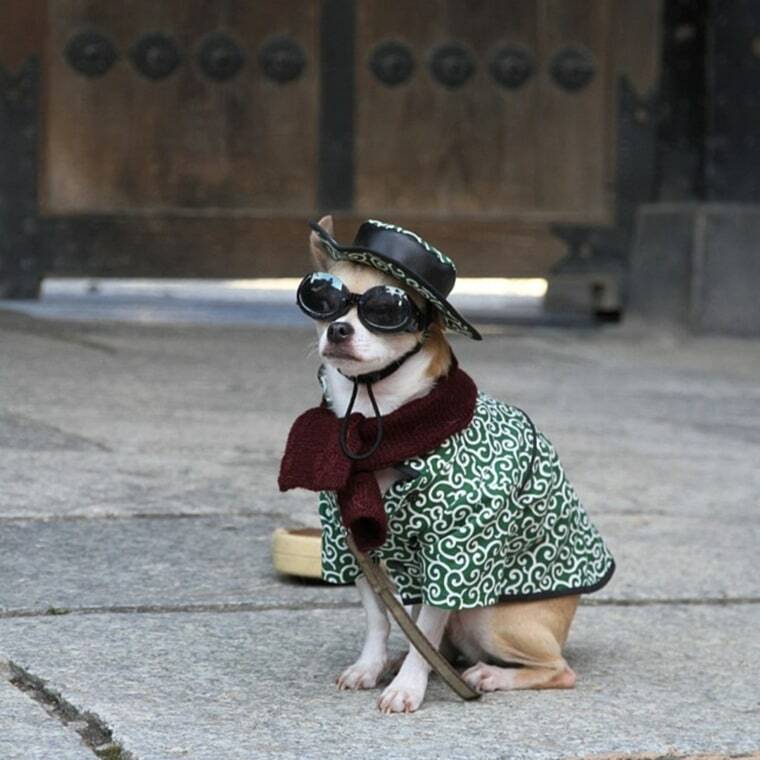 This Chihuahua constantly sports handmade kimonos, capes, and leather coats, like in this Jan. 3, 2013 photo. Ogle more of Montjiro's fashion here or shop for handmade pieces! 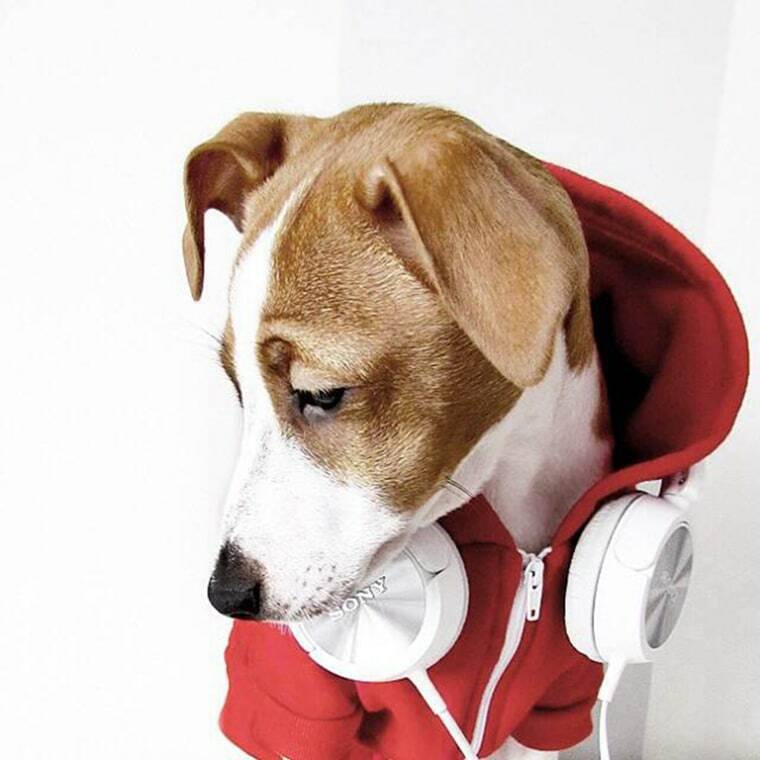 Riley's owner Chaity jokes that his Parson Jack Russell Terrier is an "artistic pooch with a mug for modeling." He's comfortable posing for the camera as the poster child for his #ourpearlywhites campaign, which supports dental health for pets. 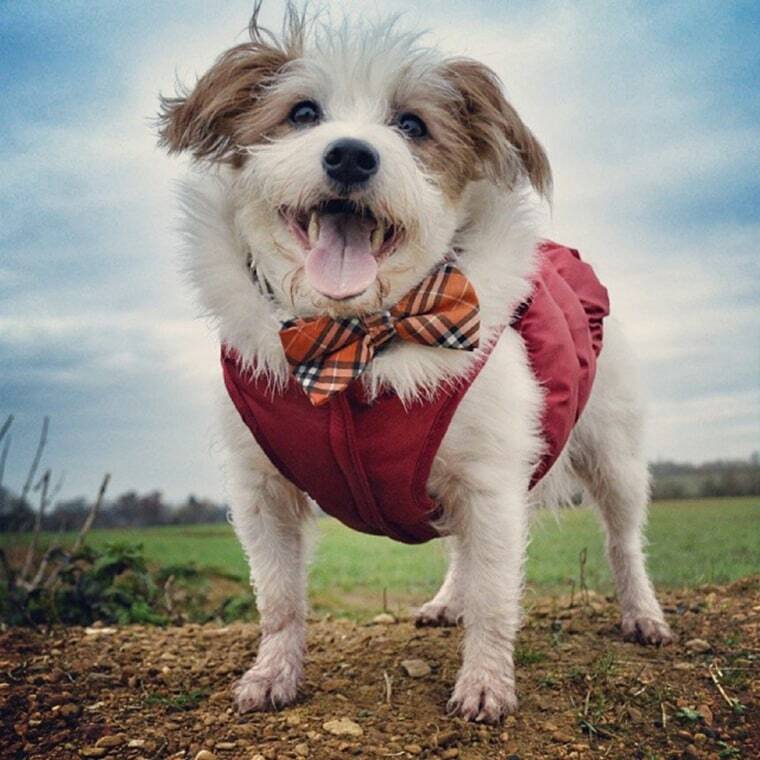 See Riley in everything from fur-lined hoodies to chic bow ties on his Instagram account. 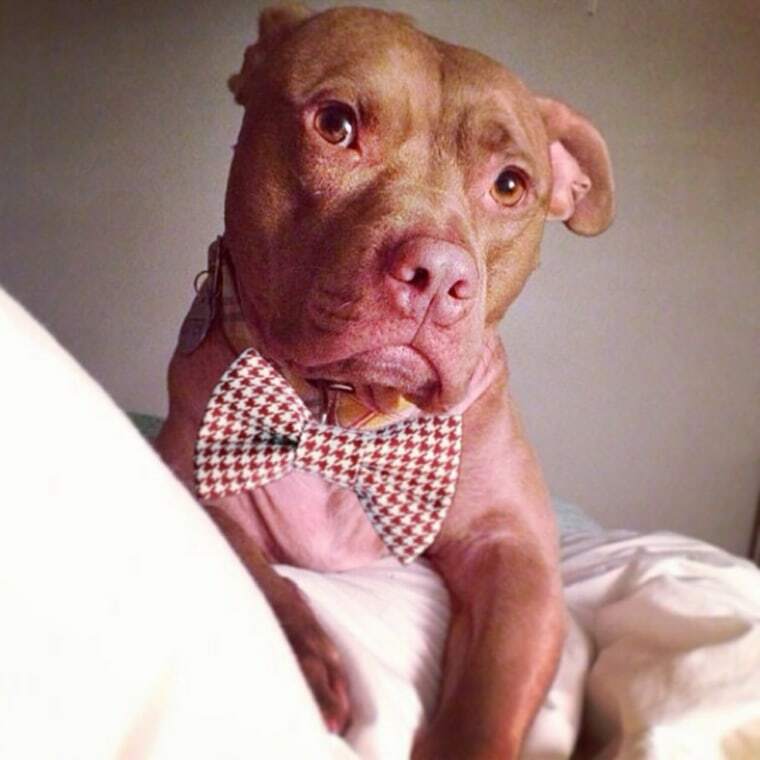 Otter the pit bull is versatile in his looks. Here he poses sweetly in his classy red bow tie on Dec. 18, 2013, but don't be fooled: Otter is the life of the party and loves to wear crazy costumes. We think his Superman and wooly mammoth getups are also among his best. Check them out here! "Ginny's new years resolution will be to look more fabulous and classy than ever, she's starting her resolution early by wearing her bow tie while she goes out for walks," she writes on Dec. 30, 2013. 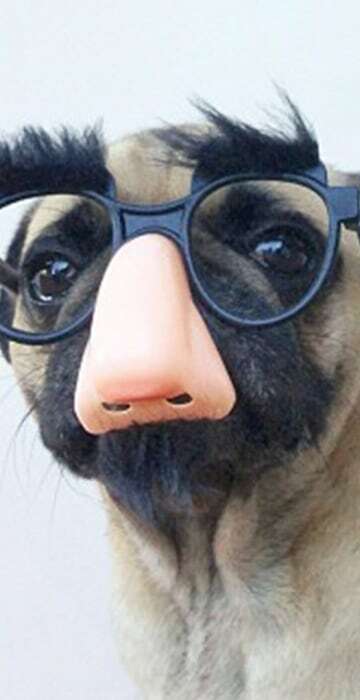 Ginny the Jack Russell dresses up for every occasion. From bathtime to reading the Sunday morning paper, Ginny's owner Chelsea says, "She amazes herself with her own style sometimes." Amelie, Rai, and Nanaco are three adorable Chihuahua siblings that always wear matching outfits. We think they look especially sweet in their pastels! Follow their shenanigans on Instagram.